The Slowly Boiled Frog: Can you believe that AFA is still targeting Target? Can you believe that AFA is still targeting Target? American Family Association, an anti-LGBT hate group reminded people on Monday that they are still boycotting Target Corporation. 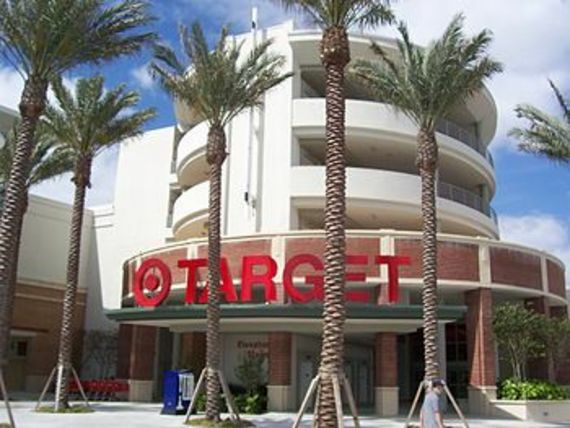 Like almost all retailers, Target accommodates transgender people. All they want to do is pee or try on clothes in a dressing room. AFA is trying to reduce Target's back-to-school business. Target (NYSE:TGT) shares are closing in on a record high. The dividend yield is 3.33% (to get a 3% yield on a CD requires a five-year purchase). By all accounts Target has been exceptionally innovative and its online division has become a robust part of the company's operation. In other words, American Family Association's silly boycott has failed miserably. They will continue to fail. I also suspect that Target will be acquired by Amazon.com this year to give Amazon a brick and mortar presence. Danger? Not a chance. Wildmon's original complaint was that Target publicized their policy of gender accommodation. Now it is the policy itself. What a dork. Simply stated that is a bald-faced lie. They have made no impact and Target is not putting anyone in harm's way. Target should sue the dumb prick for defamation. The bottom line is that people are going to buy stuff based on appeal, price and quality. Gender accommodations are irrelevant. No one believes that transgender people pose a threat to anyone. No sane person believes that people will pretend to be transgender in order for men to access women's facilities. It just never happens. Wildmon probably thinks that this will make AFA relevant. His problem is that people can read a stock chart, earnings releases and analyst expectations. Wildmon's lies are apparent to anyone with more intellectual curiosity than a carrot.